“If you live here by choice,” Willem Lange writes of the northern New England he’s called home for half a century, “you pay your dues, take what you can get, and endure what you have to. 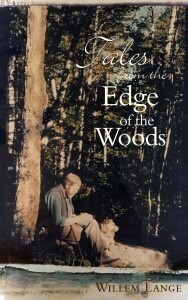 It’s well worth it.” These eighteen reminiscences, character sketches, and sometimes heart-rending accounts of life among the ubiquitous pines and unyielding granite show a deep reverence and an abiding respect for this unique corner of the world. Willem Lange has created one of the nicest collections of stories of life in New England. Mr. Lange is able to capture the sights, sounds and smells of Vermont and New England. He presents a very honest picture of everyday experiences and is able to sprinkle it with humor. From 1968 to 1972 Will directed the Dartmouth Outward Bound Center. From 1972 until his “retirement” in 2007, he was a building and remodeling contractor in Hanover. He’s an adopted member of the Dartmouth Class of 1957. In 1981 he began writing a weekly column, “A Yankee Notebook,” which appears in several New England newspapers. He’s a commentator or host for Vermont Public Radio and both Vermont and New Hampshire Public Television. His annual readings of Charles Dickens’ A Christmas Carol began in 1975 and continue unabated. He’s published several audio recordings and nine books and received four Emmy nominations, and won one (!) for his work as the long-running host of New Hampshire Public Television’s award-winning show “Windows to the Wild”. In 1973 Will founded the Geriatric Adventure Society, a group of outdoor enthusiasts whose members have skied the 200-mile Alaska Marathon, climbed in Alaska, the Andes, and Himalayas, bushwhacked on skis through northern New England, and paddled rivers north of the Arctic Circle. He and his wife, Ida, who is the proprietor of a kitchen design business, have been married since 1959. After forty years in New Hampshire, they moved to East Montpelier, Vermont in 2007. They have three children and four grandchildren. The author is available for readings throughout New England. Distributed by Midpoint Trade Books, Ingram’s, Baker & Taylor. Available wherever books are sold.